Supporters of the Poor People’s Campaign. For the past two Mondays, I’ve had the pleasure and privilege of joining the Poor People’s Campaign (PPC) in Lansing as part of its “40 Days of Moral Action.” The PPC is committed to the lofty goals of ending the “four evils of racism, militarism, poverty and environmental devastation,” and recognizes that this cannot be accomplished through policy change alone. Invoking Dr. Martin Luther King Jr., a national “revolution of values” is in order. 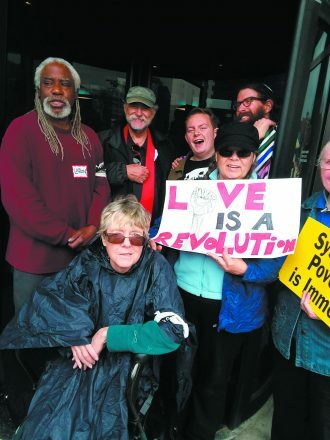 These demonstrations in Lansing are not merely rallies or gatherings, but opportunities for what the PPC calls “moral fusion direct action” — principled and nonviolent use-of-self that serves to not only raise awareness for the plight of the impacted and to discomfort those in power, but also to physically effect the sort of moral revival that the campaign calls for. It’s an opportunity to pray with your feet, to invoke Rabbi Abraham Joshua Heschel’s famous statement about his participation in the 1965 Selma-Montgomery March. 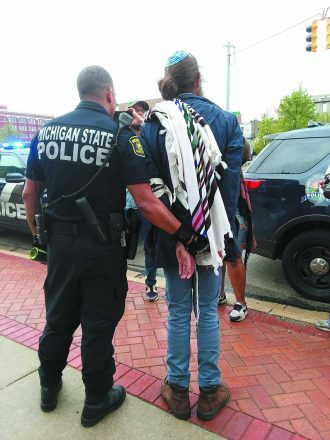 One Monday morning, on the tail end of the Jewish holiday of Shavuot — the commemoration of the Israelites’ reception of the Torah at Mount Sinai, which in ancient times was celebrated with pilgrimage to the Temple — I certainly saw my participation in Lansing through the lens of Judaism, tapping not only my sense of spirituality, but also of holy obligation to pursue justice (“Tzedek, tzedek tirdof” Deuteronomy 16:18). With this in mind, I wore my tallis and yarmulke — both out of an authentic sense of prayerfulness and a knowledge of the strategic optics of clergy and clergy-esque folks standing in protest. Those of us who had been oriented to the Poor People’s Campaign approach to nonviolent direct action gathered in a church prior to the day’s events to sit in prayer, center ourselves and develop relationships before joining up with a larger cadre of supporters who were busy making signs and singing rousing movement songs. He further explained that direct action is all about the body: putting one’s body in a forbidden space, physically challenging and disrupting business-as-usual in an oppressive context. I understood this as also having an internal benefit, promoting a sense of “skin in the game” for allies whose participation is voluntary. This day, we — a mixture of young and old, clergy and laypeople, men and (mostly) women, black and white folks, seasoned activists and newly politicized allies alike — would be taking our faith and our asses to the Department of Health and Human Services. Other protestors made their way around the building to obstruct the side and back entrances of the building. As the building’s lobby was shut down by our efforts, police and security personnel attempted to intervene, claiming we were violating fire codes and obstructing EMS access for someone in the building with a medical need. I joined Rev. Bill and a group of others by standing in the path of a revolving door, a position that eventually allowed us to, following consensus from our group of moral actors, enter the building itself and occupy the lobby. To the shock of the building’s security personnel, 16 of us made it into that space, and we proceeded to hold it in sustained song and prayer as building employees looked with curiosity and cops looked on with consternation. Inside, we had joined hands and circled up, each of us offering a spontaneous prayer of the heart that we may be strengthened and blessed, that the hearts of those in power may be inclined to the plight of people. With my heart electrified by our collective energy — and further supported by the sight of Rabbi Alana Alpert (executive director of Detroit Jews for Justice and rabbi of Congregation T’chiyah in Oak Park) leading the crowd outside in song through the megaphone — I drew the parallel between our encampment in and around this building and the encampment of the Israelites around Mount Sinai as they awaited revelation. In that moment, I had the undeniable sense that, whether the media takes up this cause or lawmakers heed our calls, this movement is one that will ripple and reverberate outward, far beyond the walls of DHHS. I don’t know how long we held that space before the police moved in and handcuffed and arrested the 16 of us, but I do know our collective song and spirit only grew as a result. The crowd roared in cheers and jubilation as the cops led us to their cruisers and brought us to a lock-up around the corner connected to City Hall. After I was processed and booked, I found myself in a cell with my comrades, listening to my elders tell stories about their lifetimes of showing up for what is right, their participation in formative events of Michigan protest history and their hopes for this movement. Down the hall, we could hear the women of our group doing the same (and, I believe, recruiting a non-protestor detainee to the cause! ), including the distinctive voice of Marian Kramer who’s been active in the struggle since the Civil Rights Movement. In that space, which I occupied only about an hour, thanks to the speedy work of the National Lawyers Guild, I felt centered and calm, proud of the showing of communal power we had made and optimistic for what will become of this revived Poor People’s Campaign in the long term. I felt humbled at this opportunity to participate on the frontlines in song and prayer with the likes of Revs. Bill Wylie-Kellerman and Ed Pinkney and Marian Kramer. 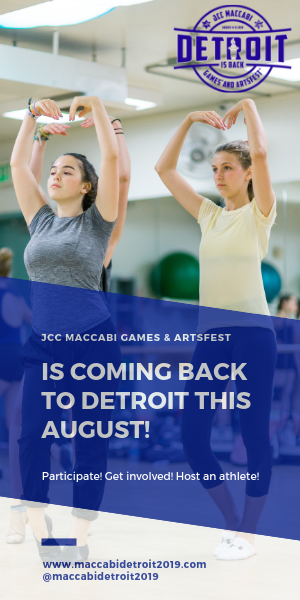 Intergenerational connection is always a rich and powerful thing, and to be among these gedolim (greats) of the Detroit justice scene felt like a potent initiation into what I hope will be a lifetime of days like this. 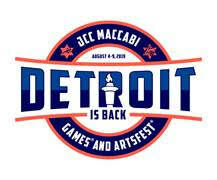 RSVP to come to an action in Lansing June 11 or June 18 with a Detroit Jews for Justice contingent at detroitjewsforjustice.org/ppc or join Detroit Jews for Justice members at Solidarity Saturdays or art-builds occurring locally each week in Detroit. You can follow the Michigan Poor People’s Campaign on Facebook by going to facebook.com/michigansppc. 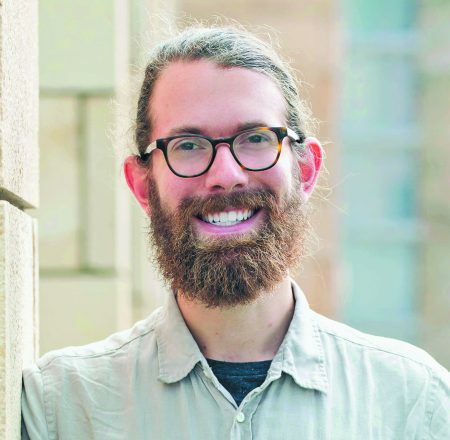 Jake Ehrlich is a transplant to Southeast Michigan, a recent graduate from the University of Michigan School of Social Work and incoming community engagement associate at Congregation T’chiyah.